Qmobile Noir A35 is a 4-inch budget Android smartphone with great features which everyone need in a smart phone at low price. 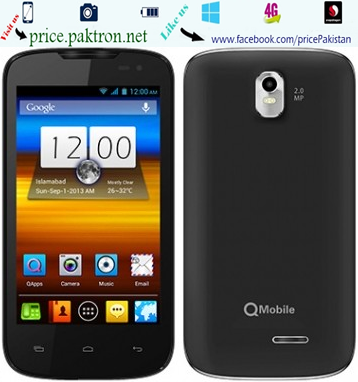 Now qMobile give access to everyone use Android phones and bring entertainment in life. More it has 2 Mega-Pixel camera and 256 MB Ram with 1.2 Ghz dual-core processor speed. OS Android 4.2 Jelly Bean. Display 4″ display with WVGA resolution of 480 x 800 pixels. Memory 256 MB RAM with 512 MB expandable storage. Camera 2 mega-pixel rear-camera-VGA front-facing camera.